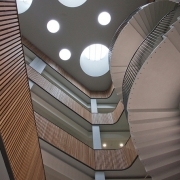 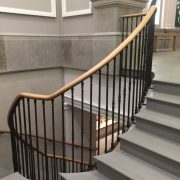 Working overseas meant there was no room for error with our survey or manufacture, and the results demonstrate why we are the most reliable timber handrail supplier in the UK. 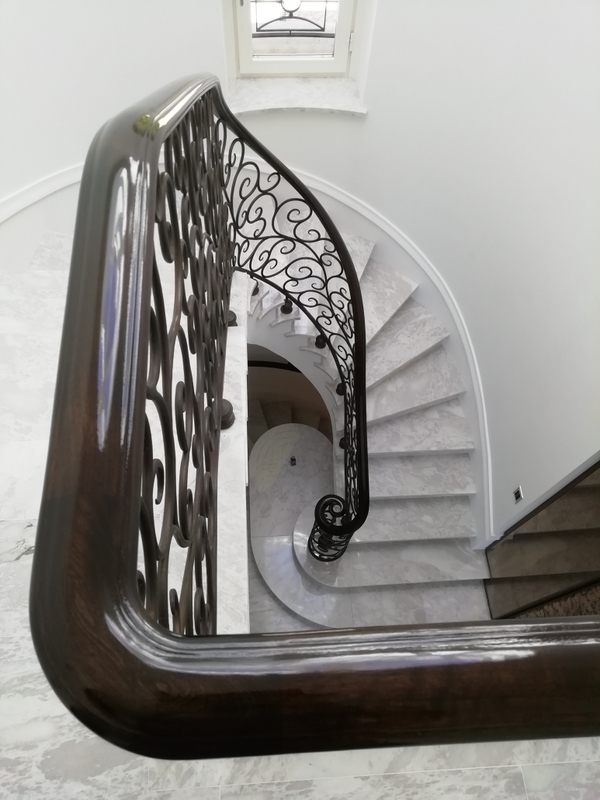 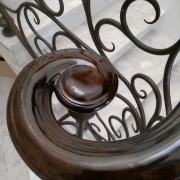 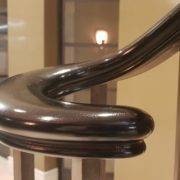 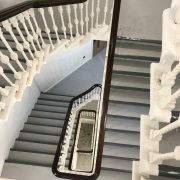 Our team produced over 30 unique curved, helical and twisted handrail parts – each slightly different and designed to fit the wrought iron balustrade that had been recently installed on the stone stairs. 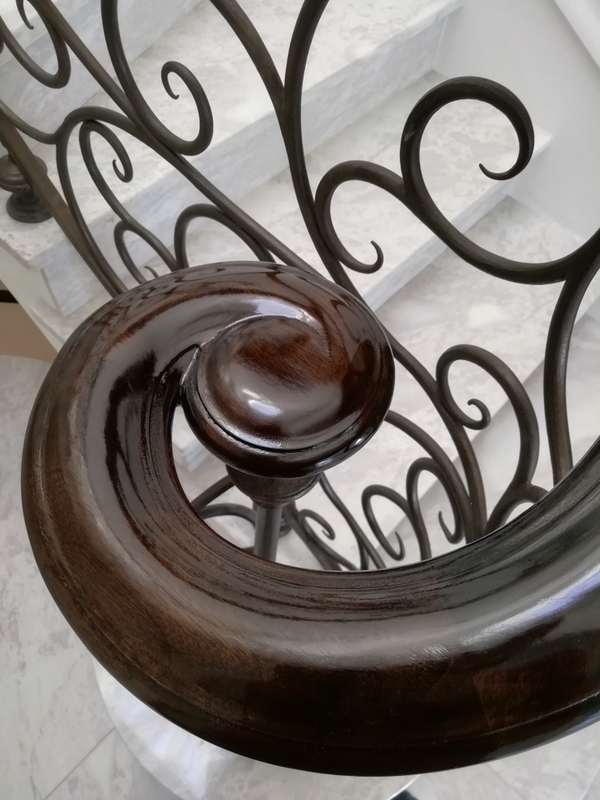 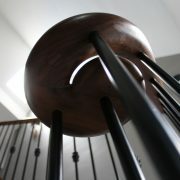 Our install team, armed with hand tools and a passport, fitted the walnut rails in just over a day – fine sanding each joint in preparation for our French polisher who flew over a week later to stain and polish the handrail with a traditional shellac finish.